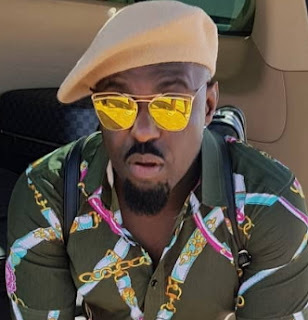 Following a verdict on Jim Iyke’s fraud case involving an Abuja based socialite, Habiba Abubakar, the actor’s manager has confirmed the court verdict as he promised to release a detail statement on Jim Iyke’s side of the story . Jim Iyke’s new manager, Mr Samuel (last name withheld by request) said the case is still in court in a smart ploy to cover up for the actor. The actor who borrowed N16.5million from the wealthy socialite to start his clothing line in 2013 disappointed her when he turned around with the claim that Habiba was only trying to date him by force, hence the framed up debt story. Mr Iyke was ordered to repay Habiba a whopping sum of N15.7million in a court judgement exclusively released to NaijaGists.com last week. WHEN WILL HE PAY UP?THEY WILL START BY CONFISCATING YOUR FOREIGN PASSPRT AND THEN DESCEND ON YOUR PROPERTY IF ANY.